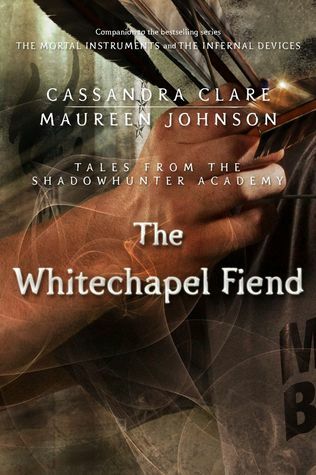 Simon learns the truth behind the Jack the Ripper murders—“Jack” was stopped by Will Herondale, his former parabatai, and his institute of Victorian Shadowhunters. This one was better than the last but I felt like it was still not amazing. I liked that Jace was back and that Tessa and Jem were back. However, I felt like these cameos were shoved into one and that detracted from the other. I liked the Jack the Ripper aspects and it is always nice to see a contemporary set book discuss history and make it fit with their story. I think this was a good addition to the Shadowhunter world. It also made me wonder how other aspects of history would be explained through Shadowhunter terms. I love the Infernal Devices cast but I feel like I would have been okay without ever knowing this story about them. It was good it just didn't feel like it belonged with their story, if you know what I mean. I liked being able to come up with my own conclusions about what happened after, especially since we got a bit of a glimpse in City of Heavenly Fire about the fates of both Jem and Tessa. I don't feel like I needed that. It was nice but it just felt like too much for me. Also does George know that Jessamine was a Lovelace? Like did Tessa say her full name? Because I feel like it would be important for him to know that, almost as important for Jace to talk to Tessa about being a Herondale. I feel like it is because of the environment we are learning this stuff about. I don't like the actual idea and concept of Shadowhunter Academy. I feel like Simon should be at the Institute learning this from Jace and then have other characters make cameos. It just feels forced and I almost want to stop reading but I don't think I can because I want to know more about George. George is literally the only good thing that has come out of these epilogue novellas. Overall: 4/5 stars. I feel like I should have know that the Maureen Johnson one would feature Jack the Ripper. I'm glad that this story was in capable hands.